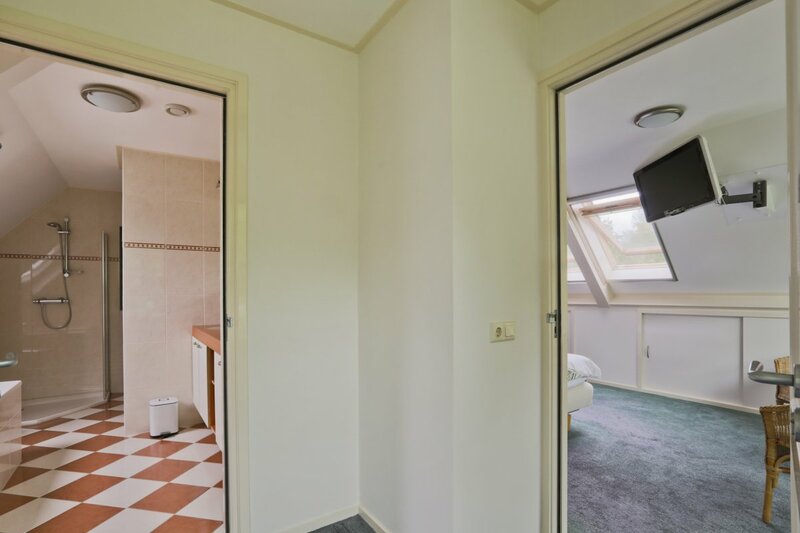 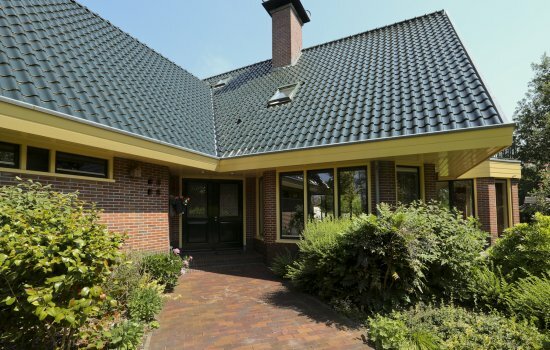 De voor- en achtertuin zijn groot en schitterend onderhouden. 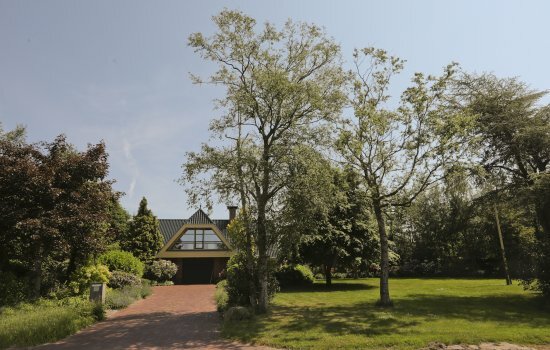 U vindt, voorbij de grote terrassen, appel- en perenbomen (mooie goudreinetten!) en een enorme keus begroeiing als begrenzing van het uitgestrekte gazon. 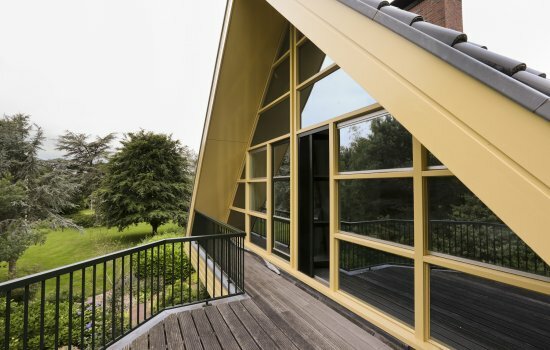 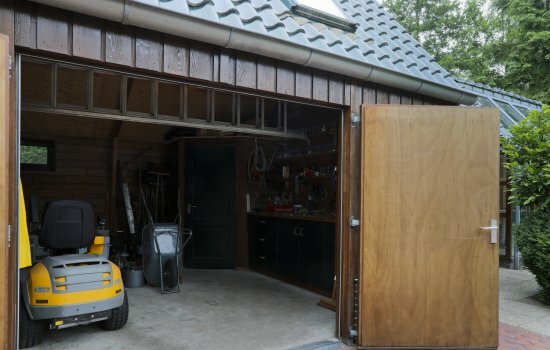 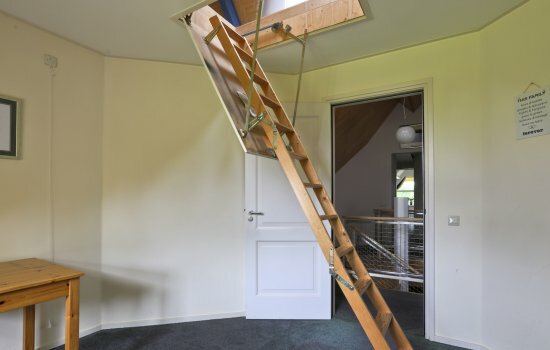 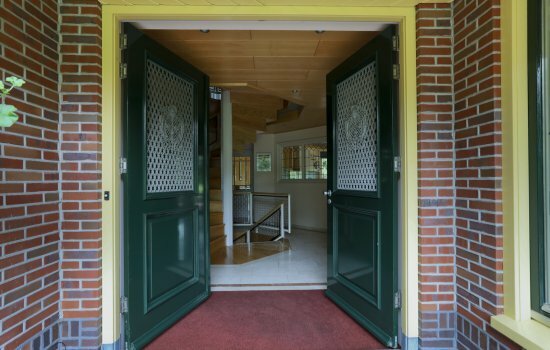 Verspreid over het terrein vindt u nog een stevige kas met berging en een carport. 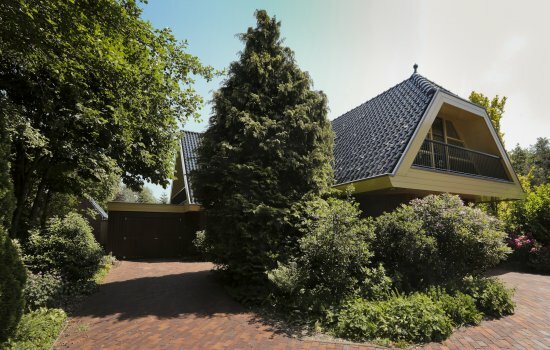 Collegiaal met Makelaardij Aimée Staal. 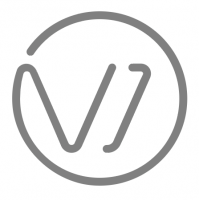 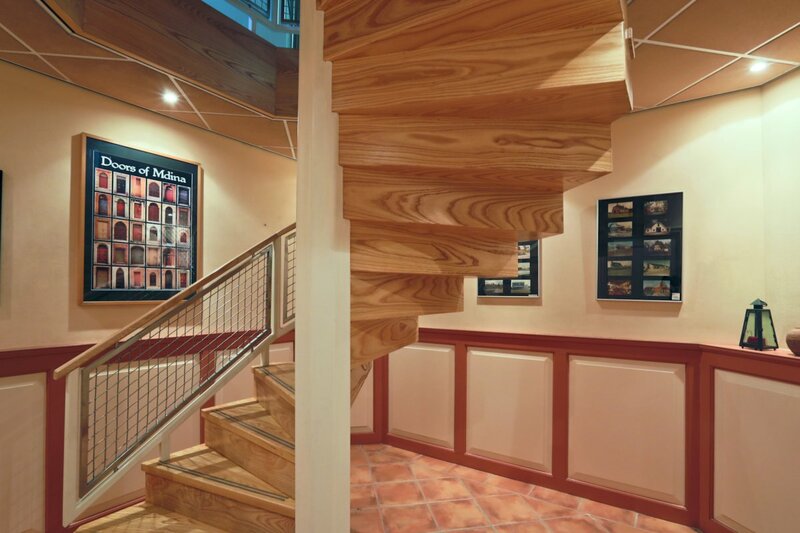 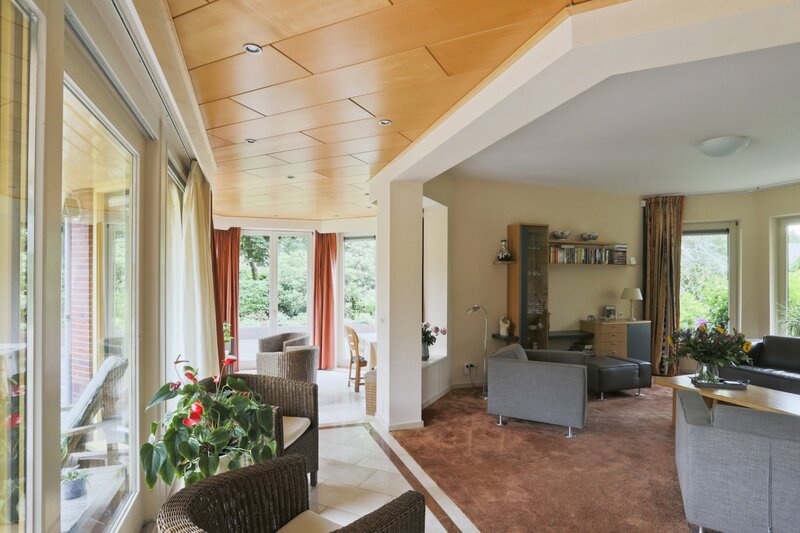 A comfortable tailor-made home, built and occupied by a contractor with a heart for the business. 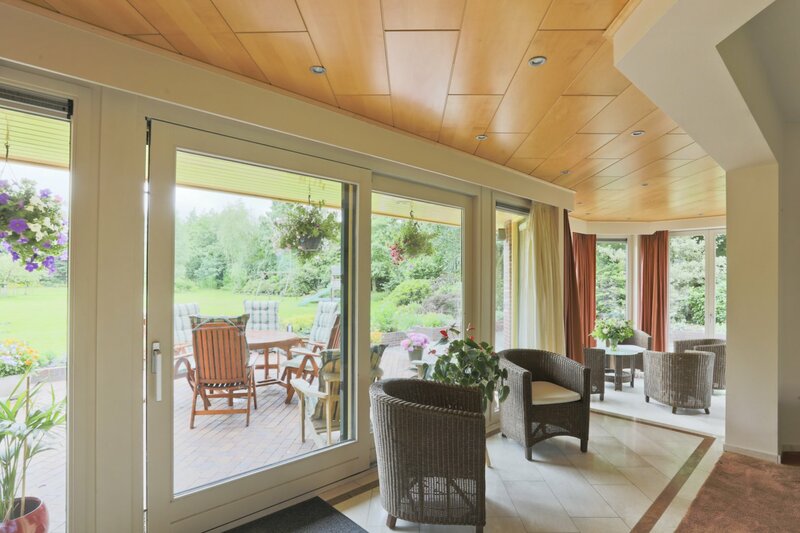 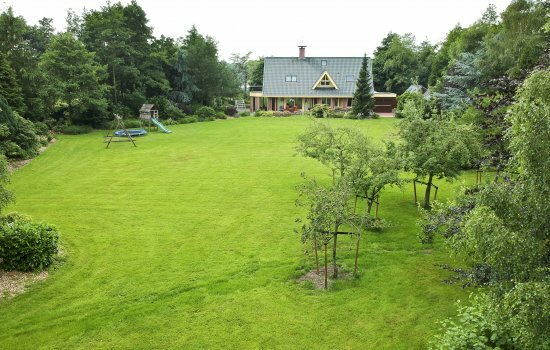 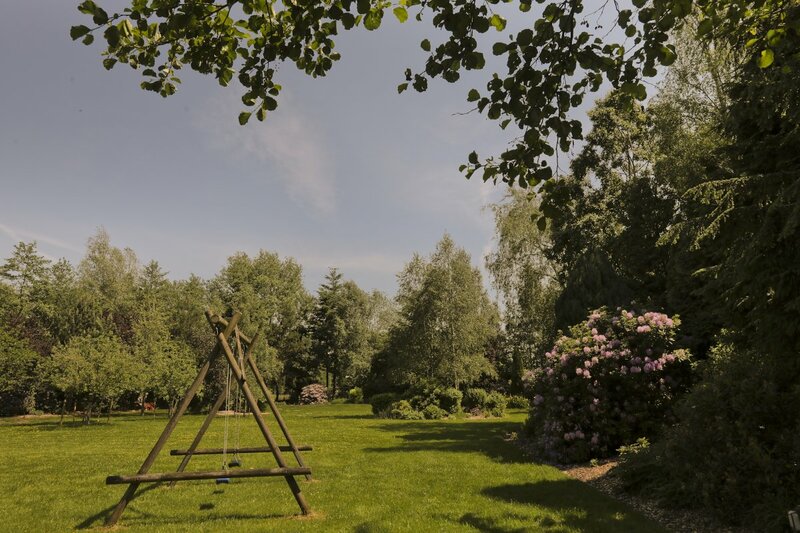 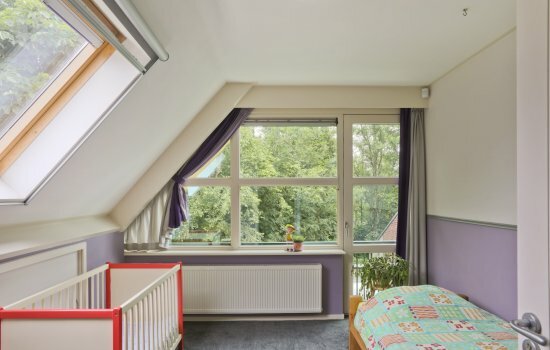 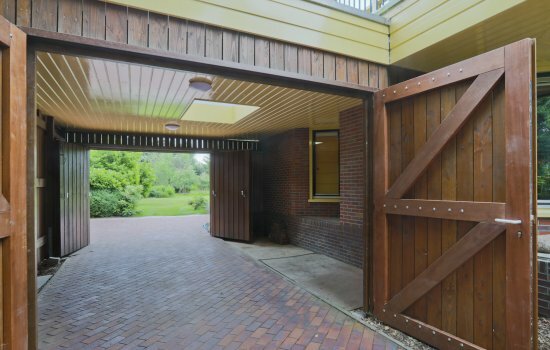 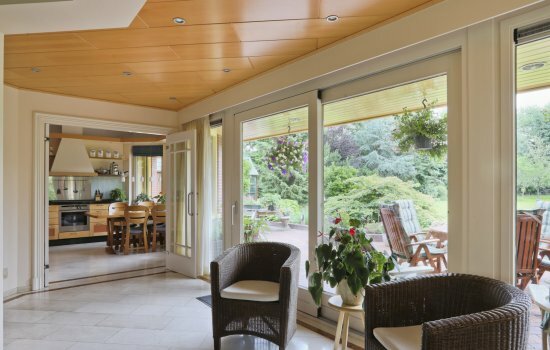 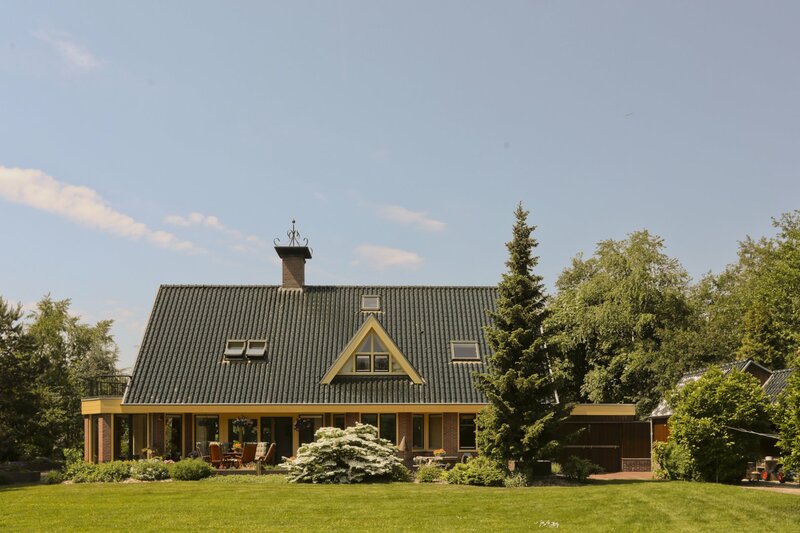 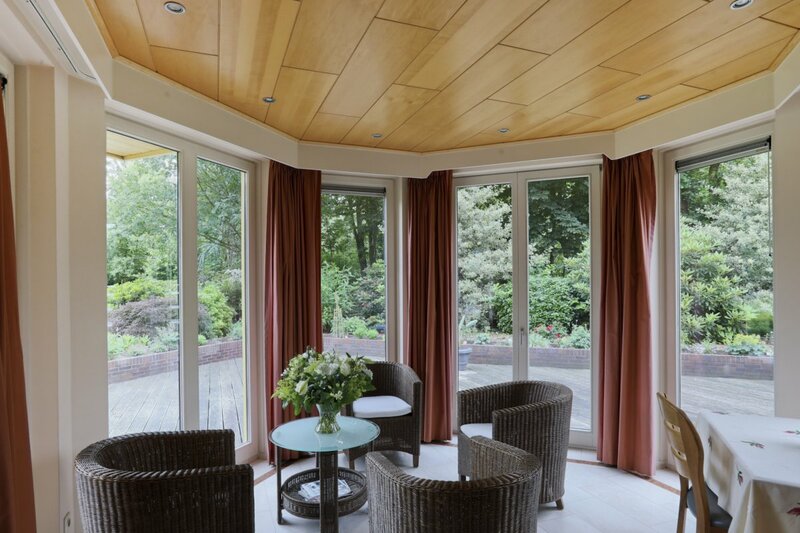 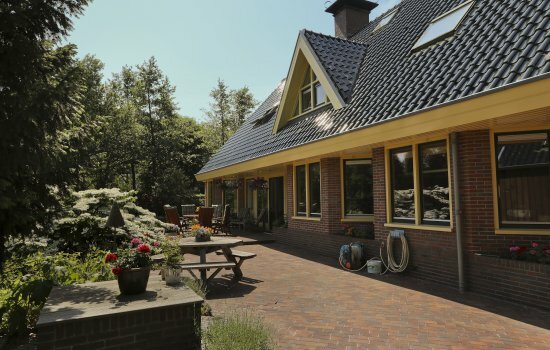 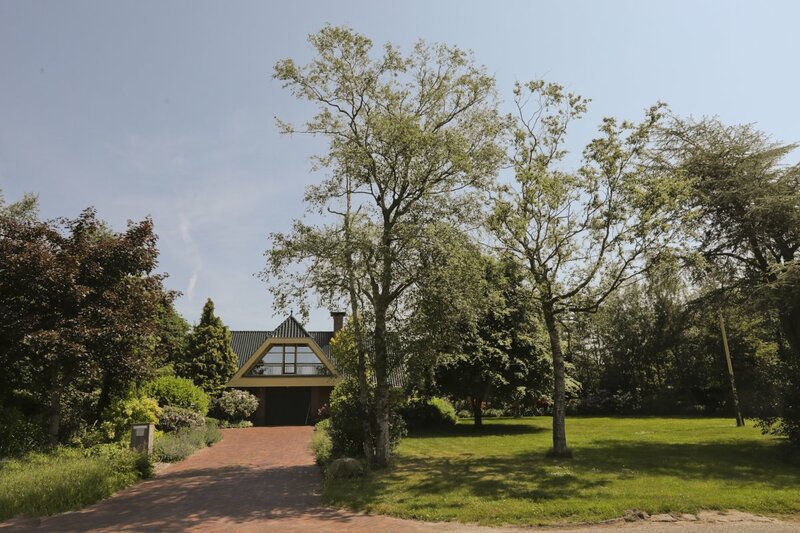 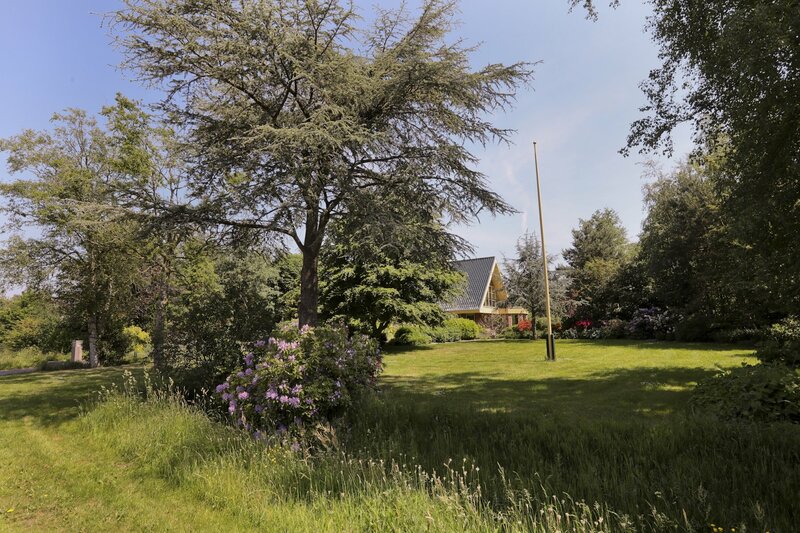 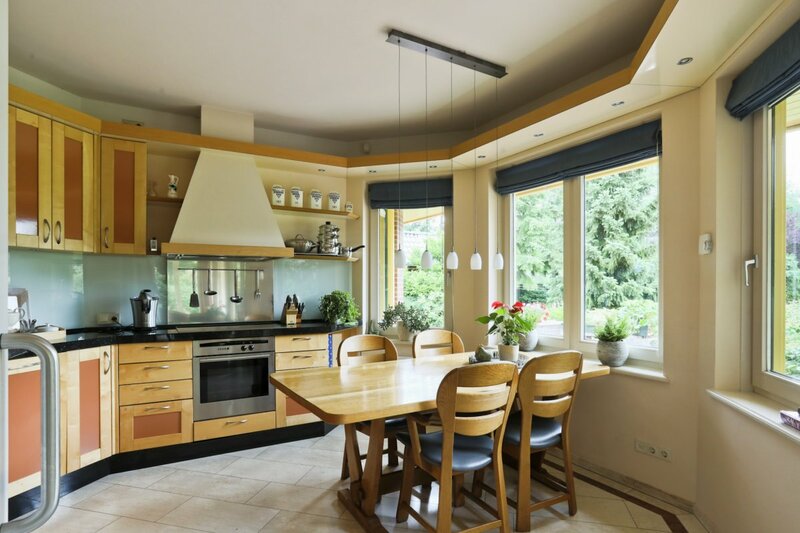 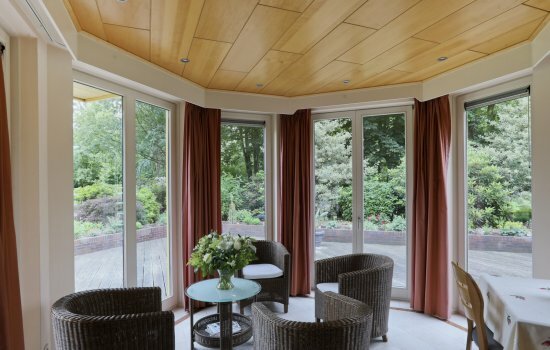 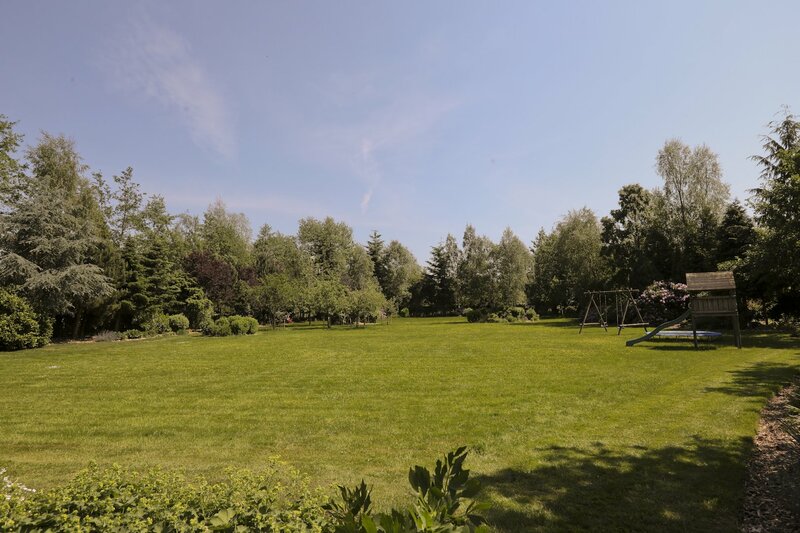 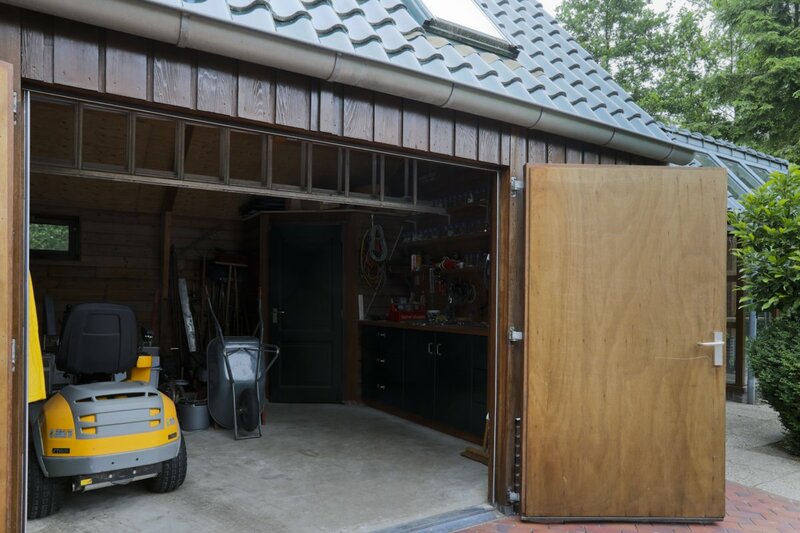 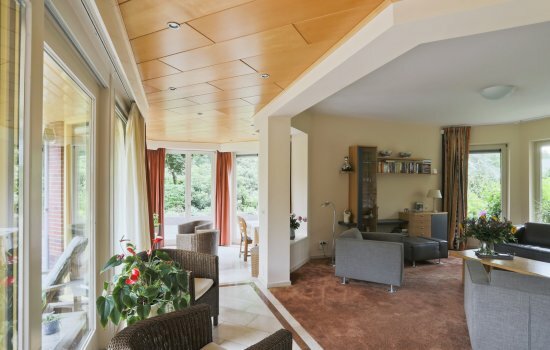 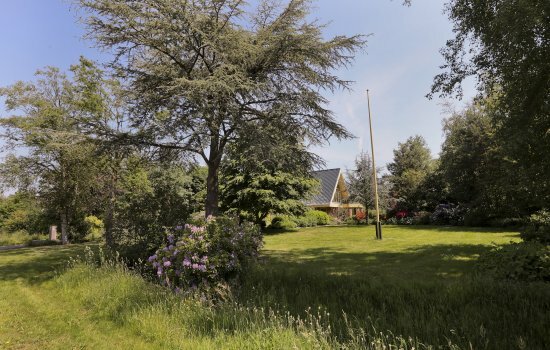 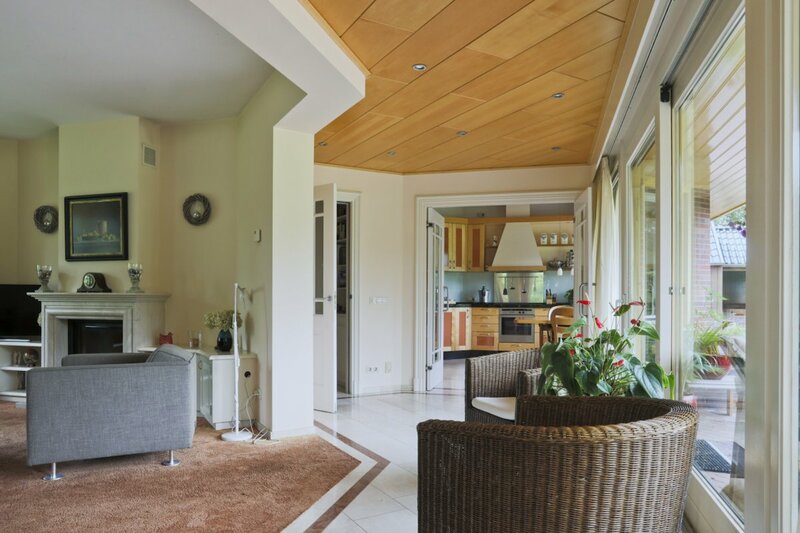 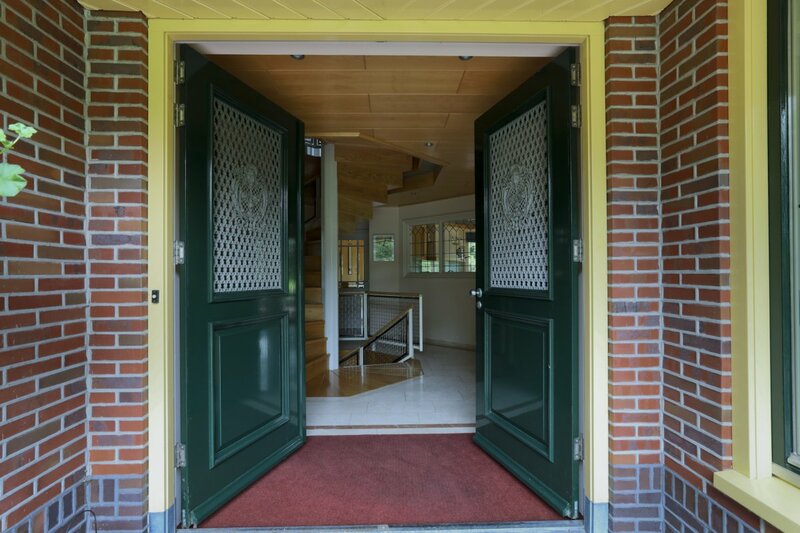 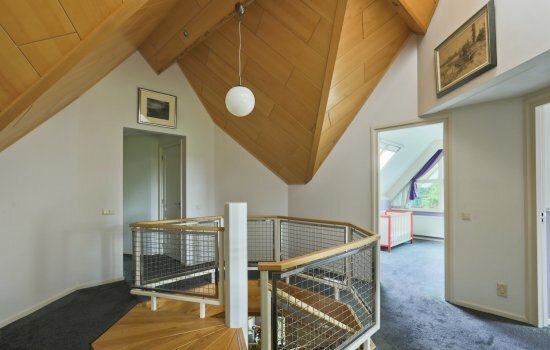 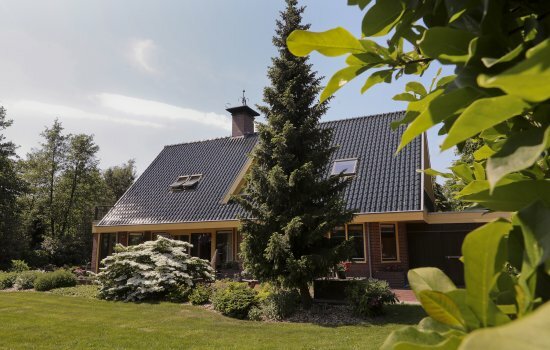 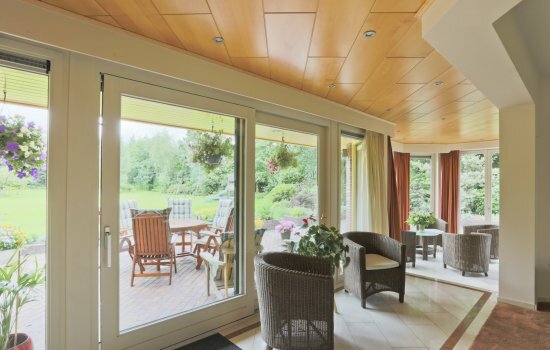 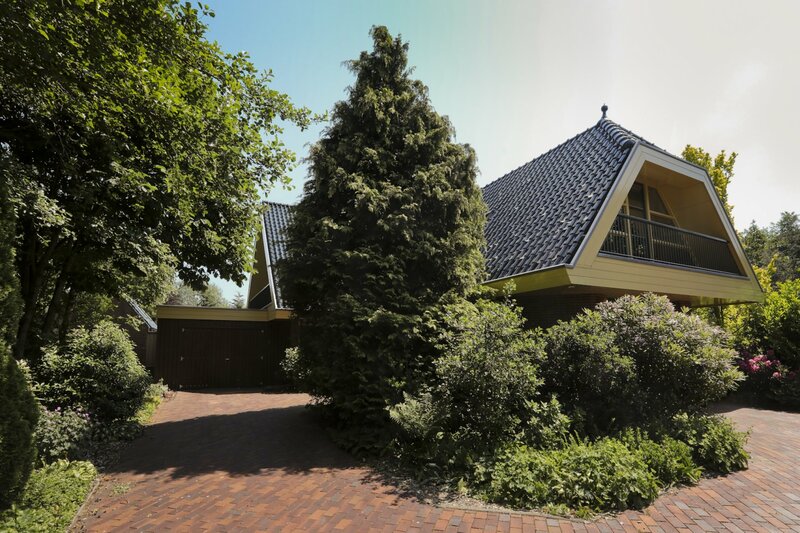 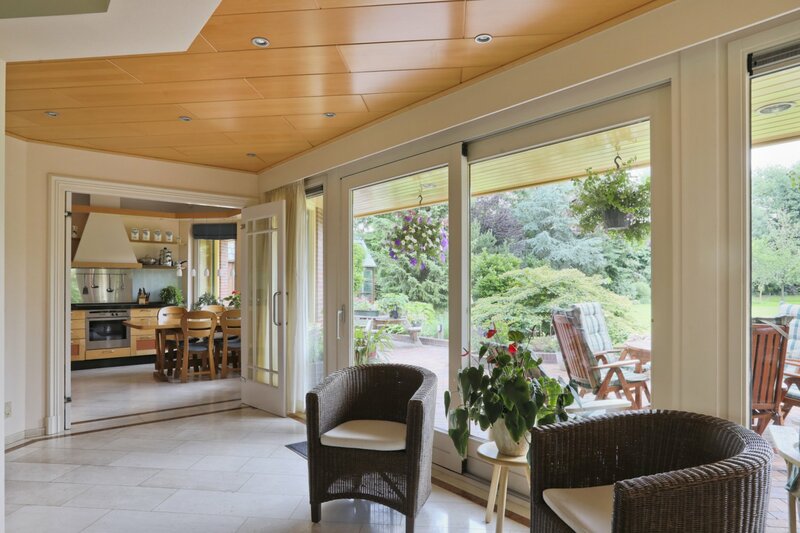 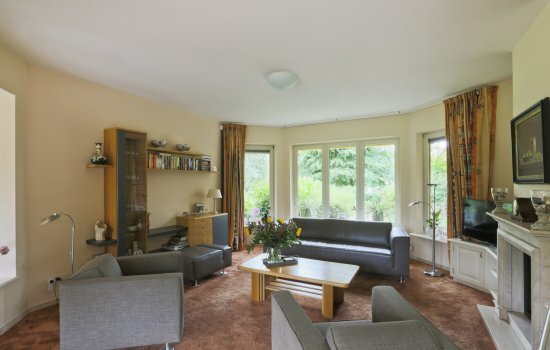 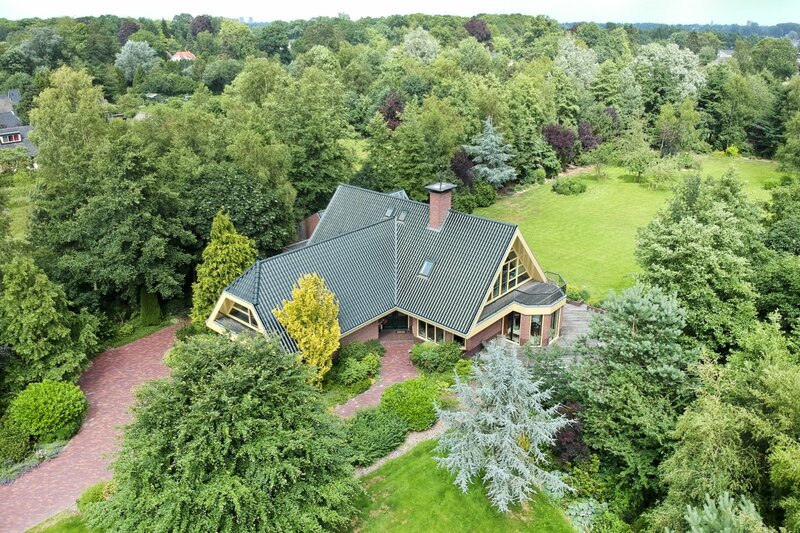 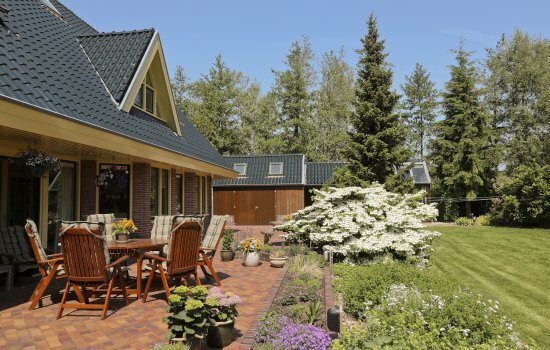 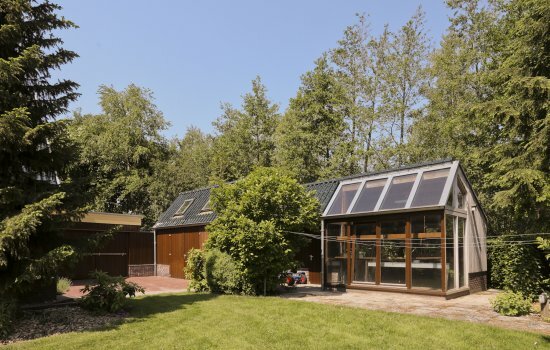 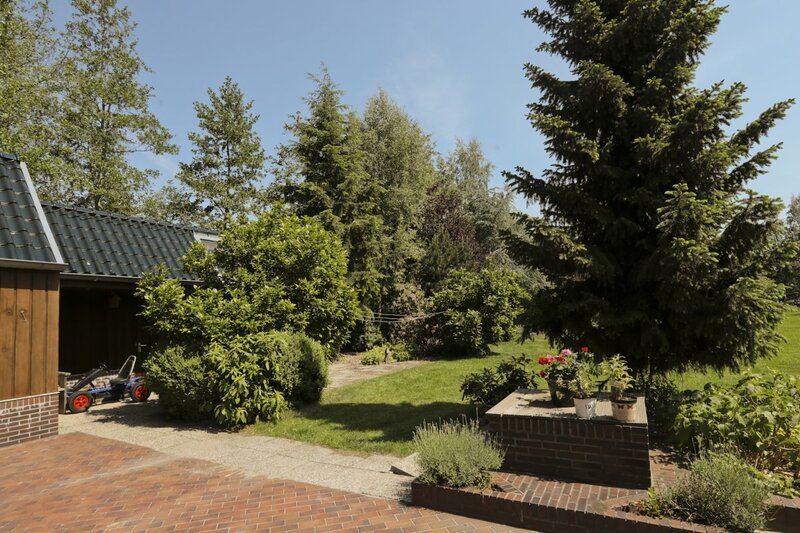 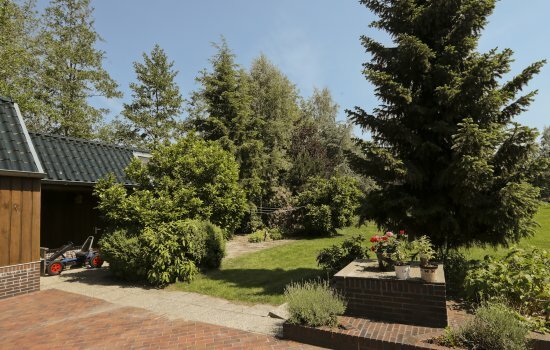 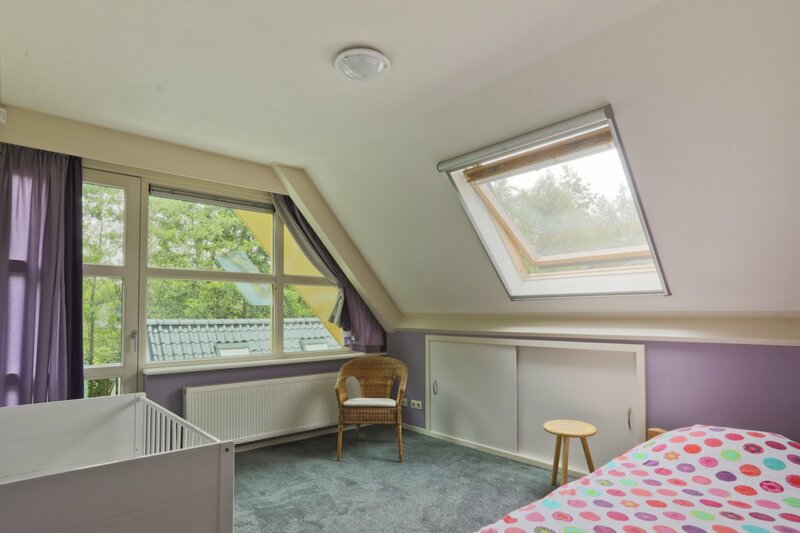 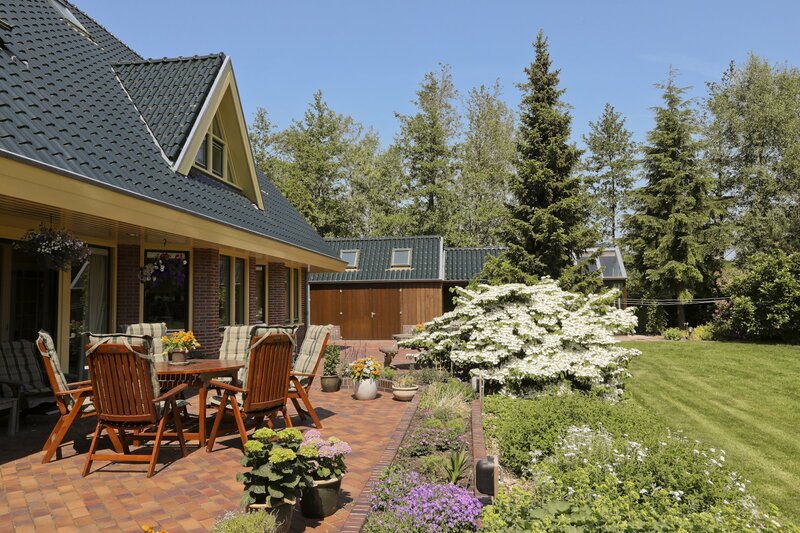 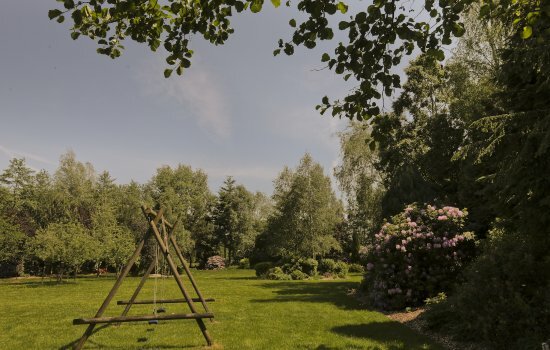 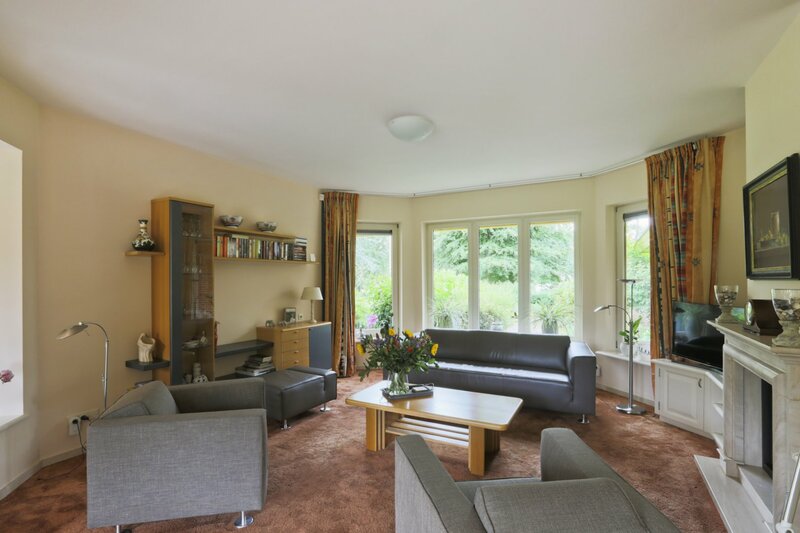 With 285 m² of living space on a plot of approximately 5,700 m² on a beautifully located cul-de-sac in Paterswolde, this is a solid home where generations (with supporters) come home with pleasure. The Onlandseweg is close to all kinds of nature areas (from the Paterswoldse Meer, De Onlanden to old parks such as De Braak), near roads and 20 minutes cycling from the heart of Groningen. 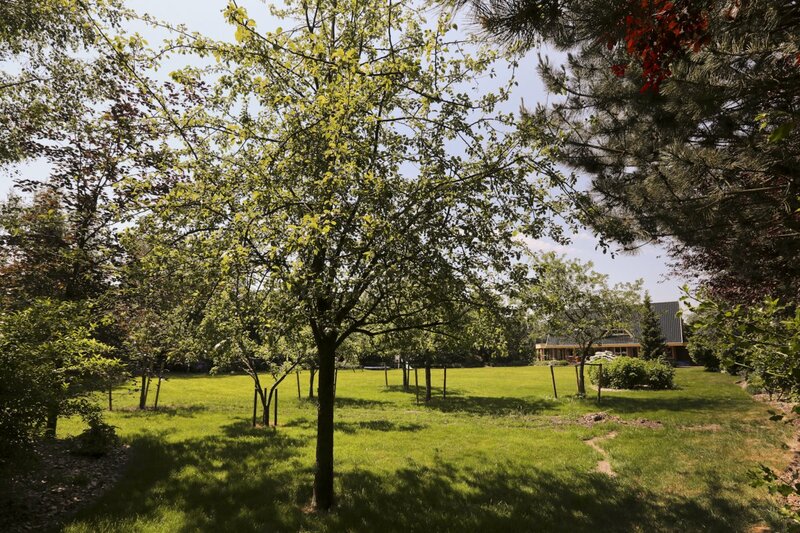 Nature plays the leading role, in every season. 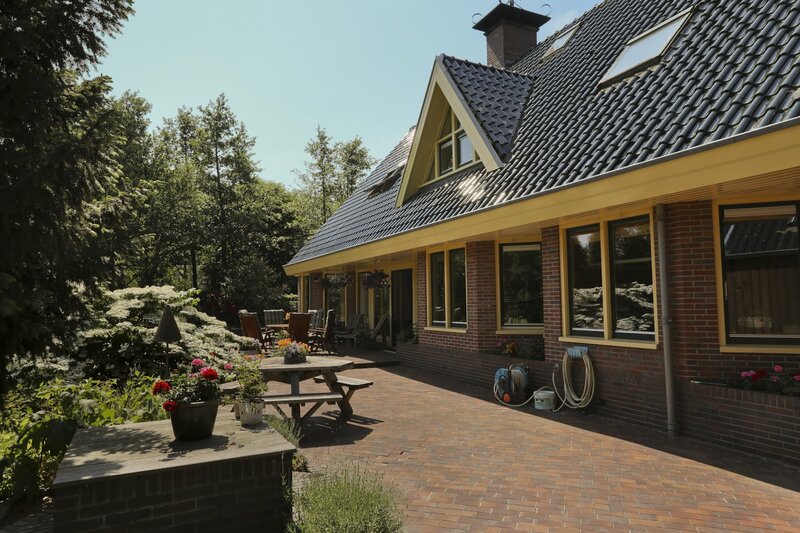 In the summer the cool marble floor on the ground floor cools down, and in winter the underfloor heating underneath is very comfortable if you in the early morning sun on your bare feet enjoy the view of a group of deer in your garden. 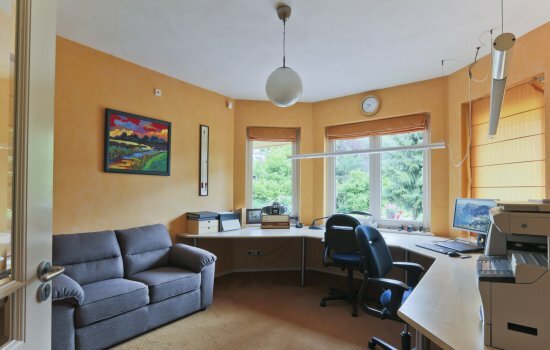 And so there are all kinds of comfortable corners designed to enjoy, cook, work and of course work. 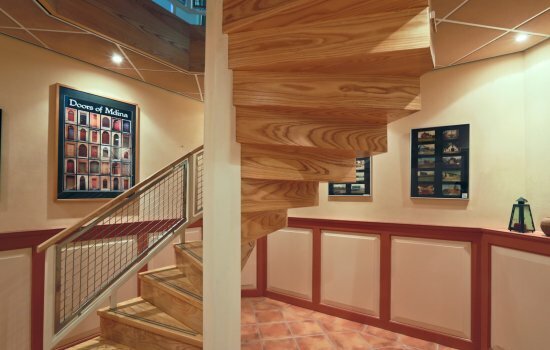 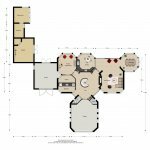 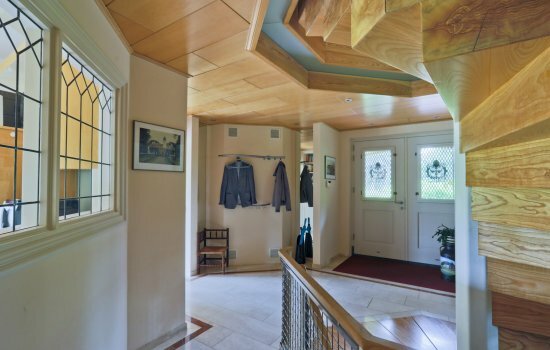 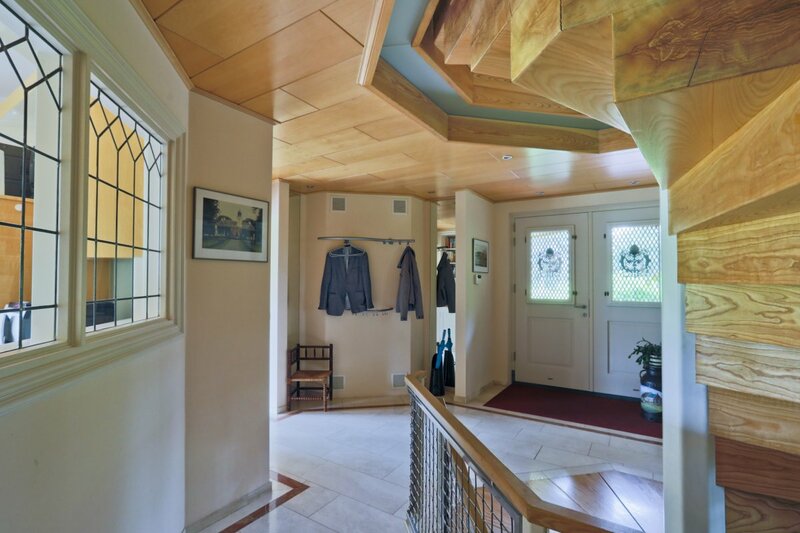 The generous octagonal entrance with the open staircase to the upper floor and the generous basement level ensures a warm welcome. 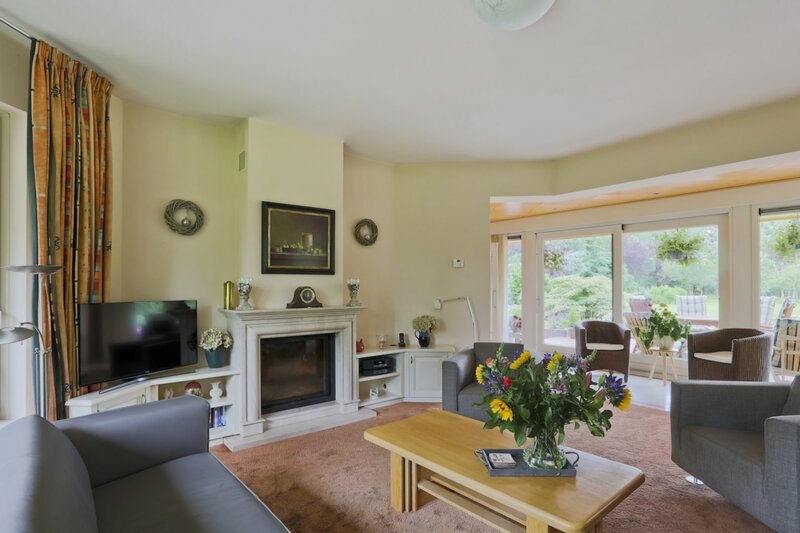 We first stay downstairs; the heart of the ground floor is divided between the kitchen and the living room with reading / working area and fireplace. 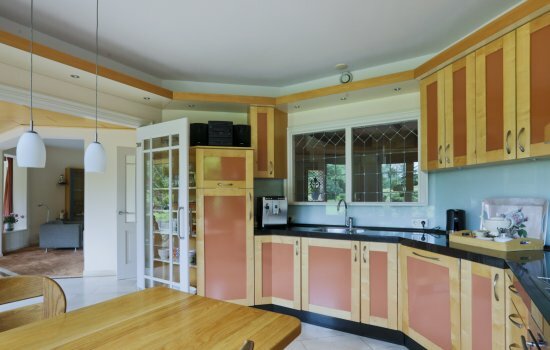 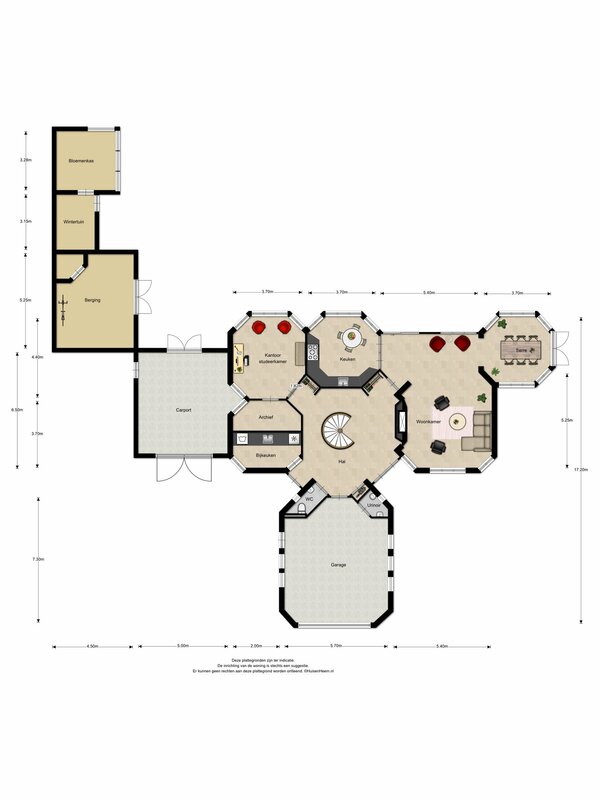 The kitchen is octagonal and offers strategic views of the front door and the living room - and the lovely garden. The cabinets and details are made of wood and natural colors, and your worktop is gracefully black granite. You cook on a Neff induction plate. 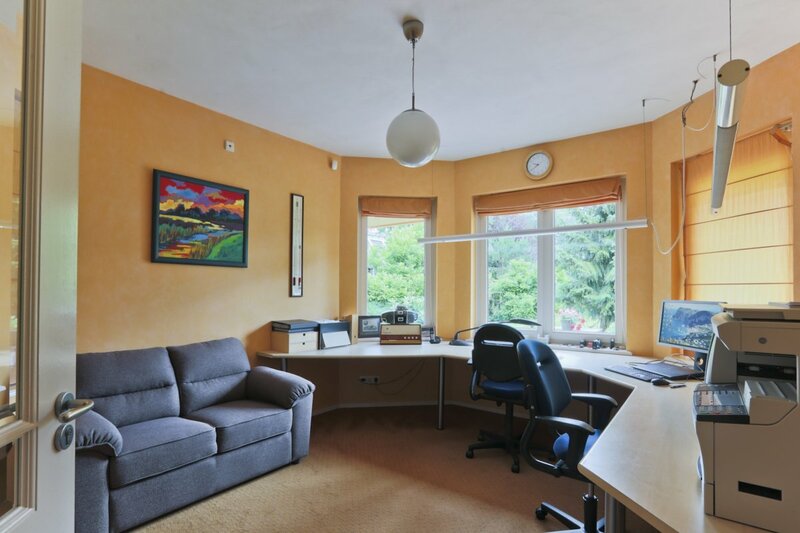 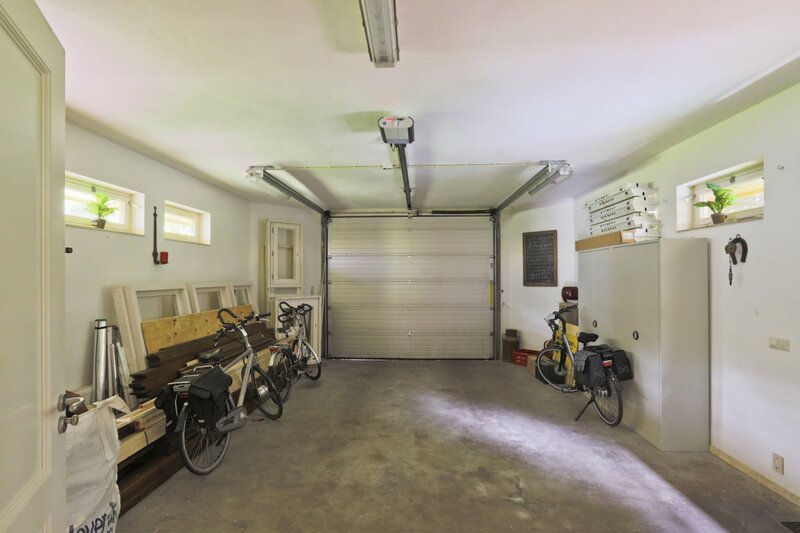 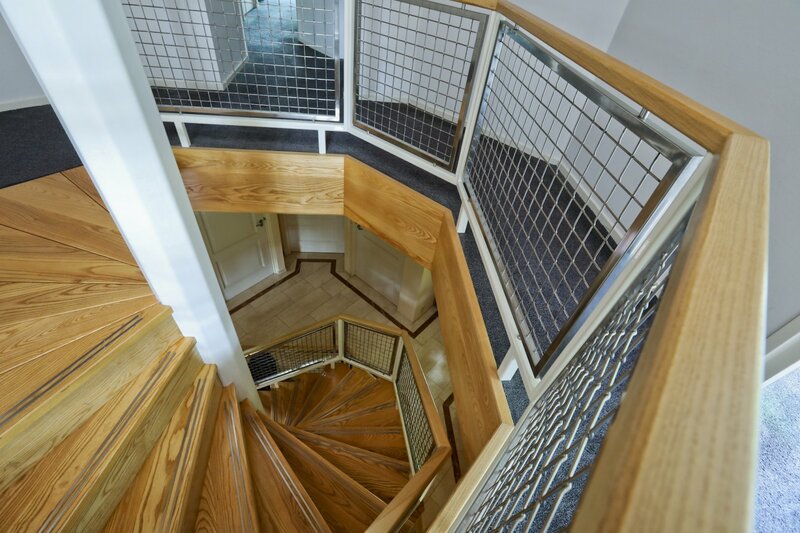 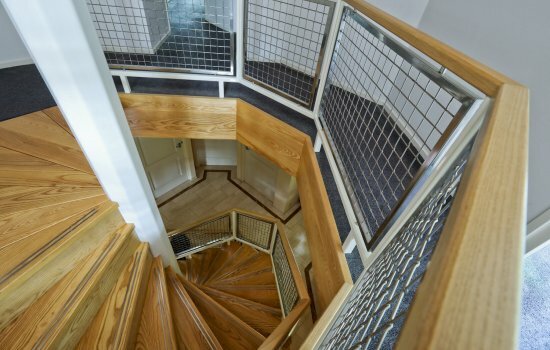 On the ground floor you will also find the (work) room overlooking the garden, the pantry with sink and the insulated indoor double garage with electrically operated sectional door. 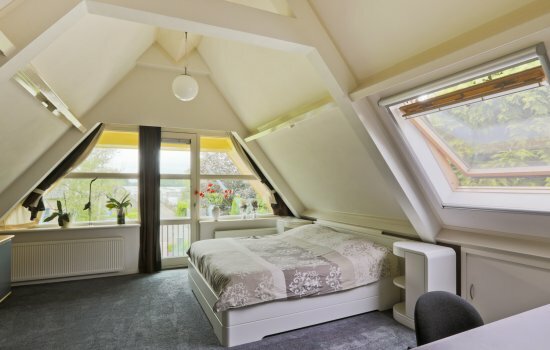 On the first floor you will find 5 (bed) rooms and two bathrooms. 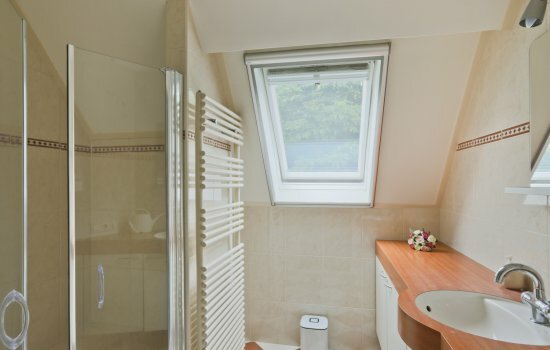 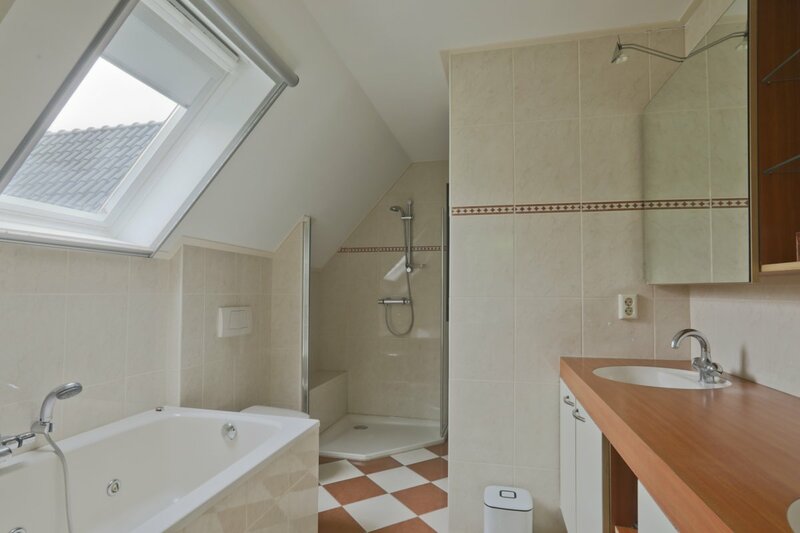 The large bathroom with a generous bath under your skylight, double washbasin, shower and toilet is part of the master bedroom. 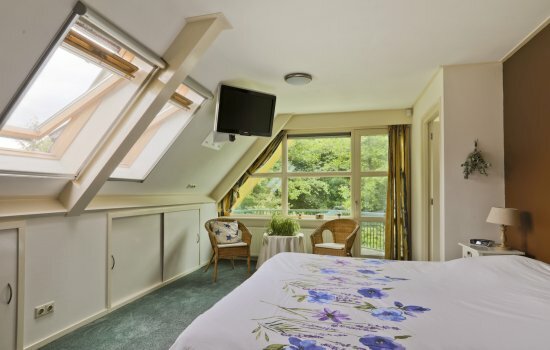 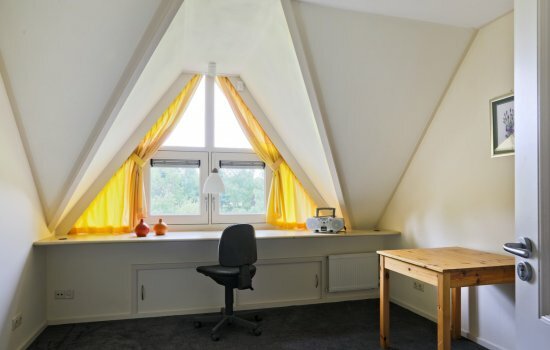 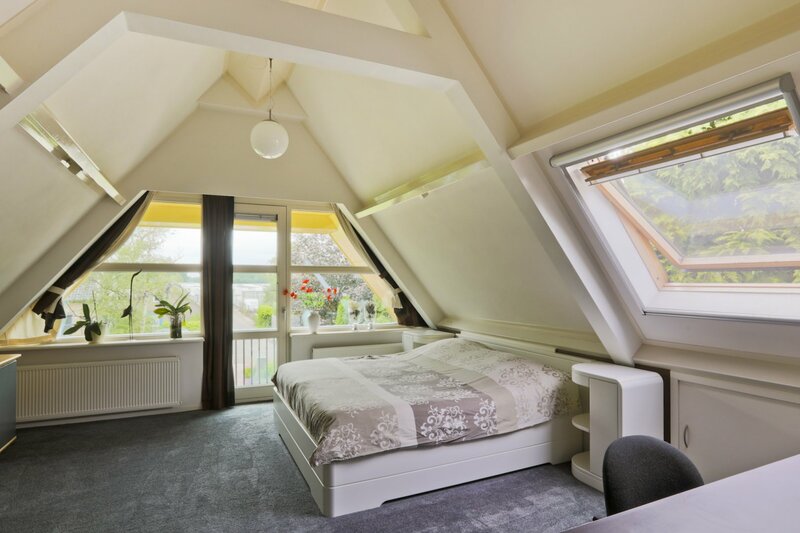 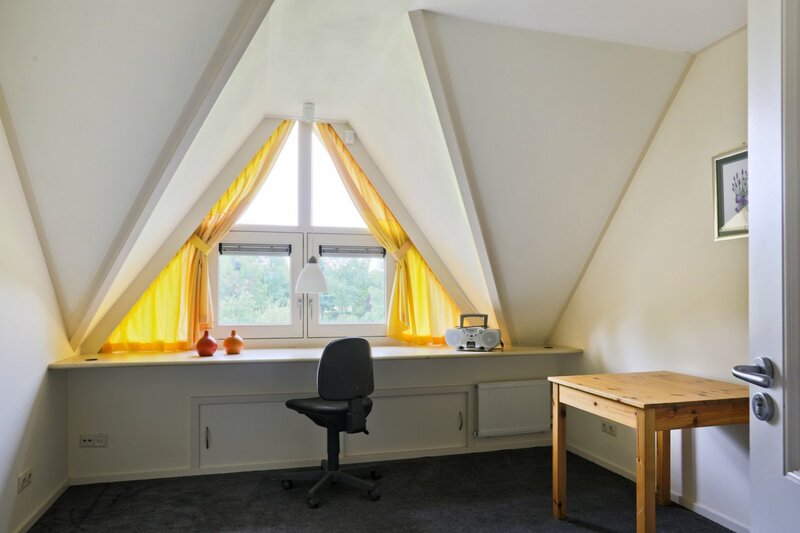 What also belongs to this bedroom: a large walk-in closet and a roof terrace with garden view. 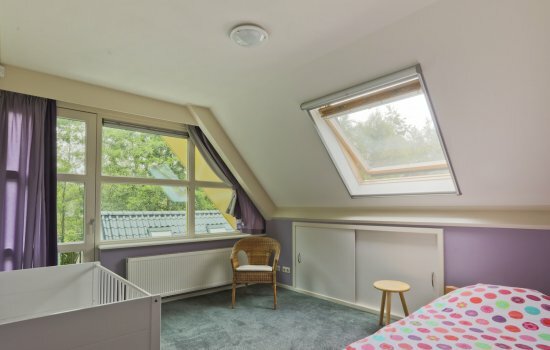 On the other side of the floor is the second large (sleeping) room. 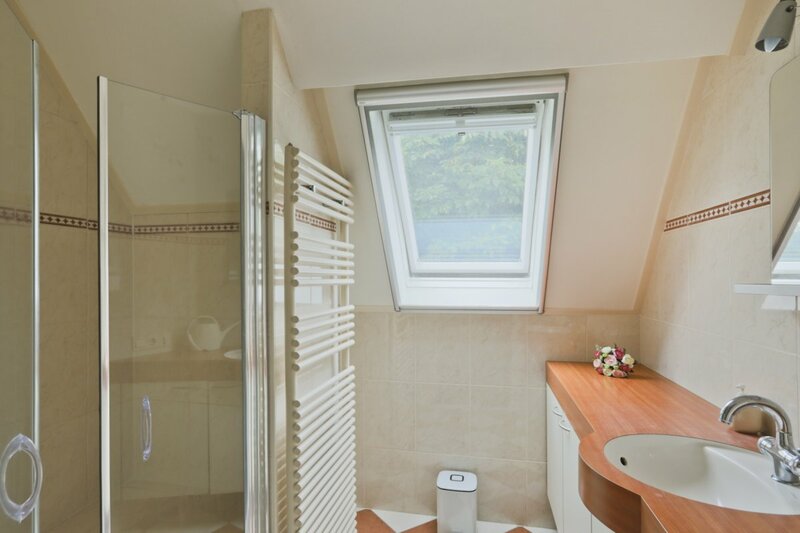 In these (sleeping) rooms the second bathroom with shower and washbasin was conceived (and the separate toilet in the corridor). 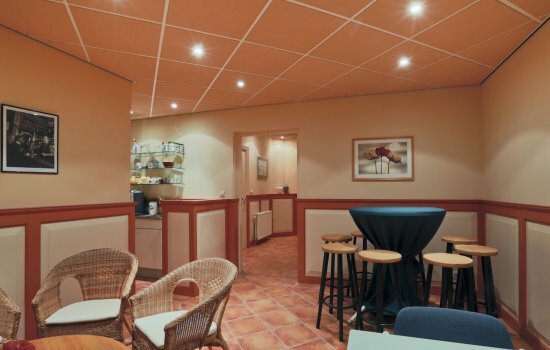 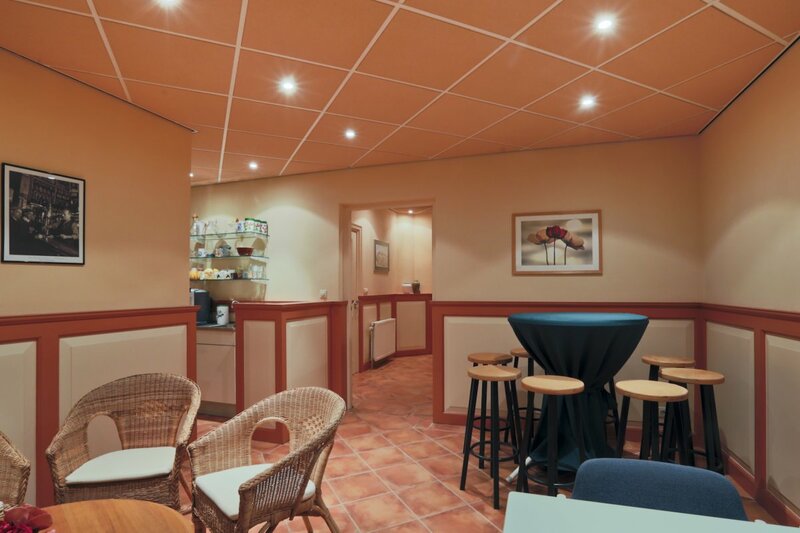 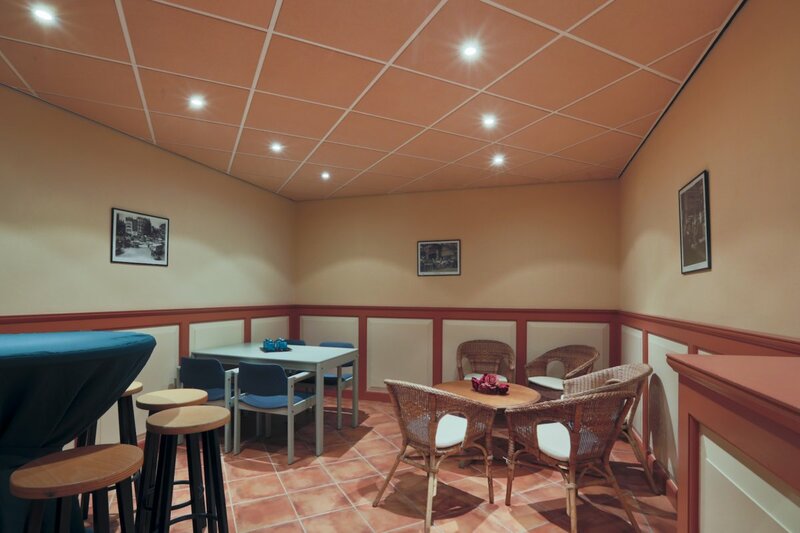 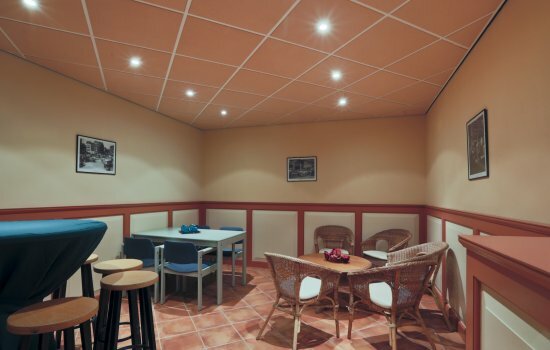 The full basement has a space for chilling / parties / gaming (with bar!) 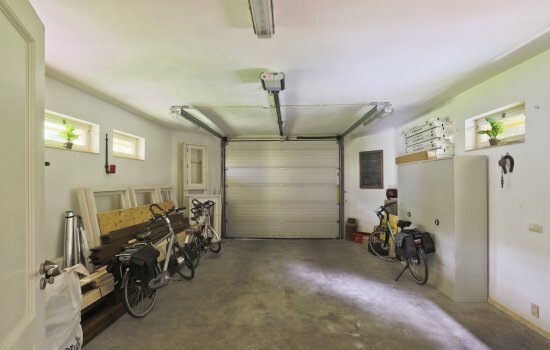 And a large dry storage room. The front and back garden are large and beautifully maintained. 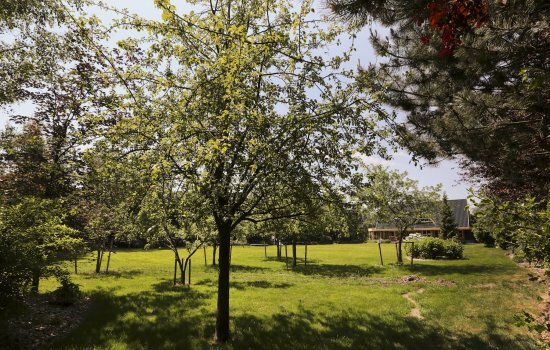 You will find, beyond the large terraces, apple and pear trees (beautiful gold trains!) 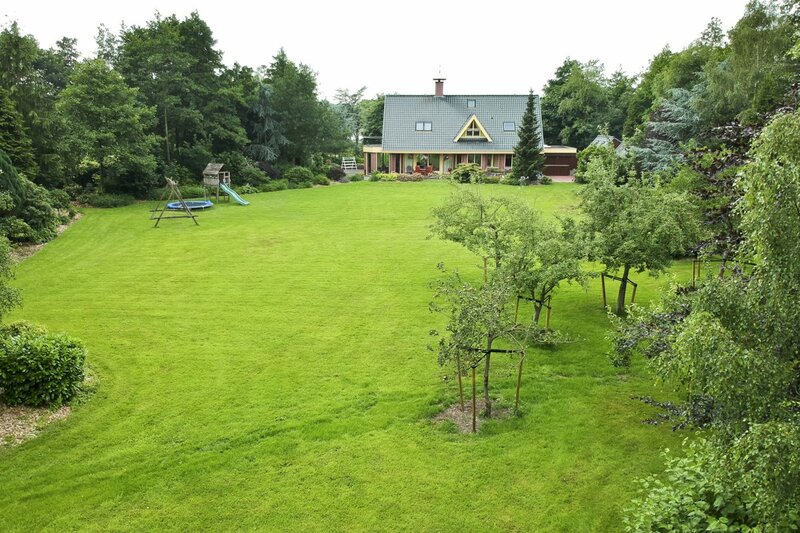 And a huge choice of vegetation as a boundary of the extensive lawn. 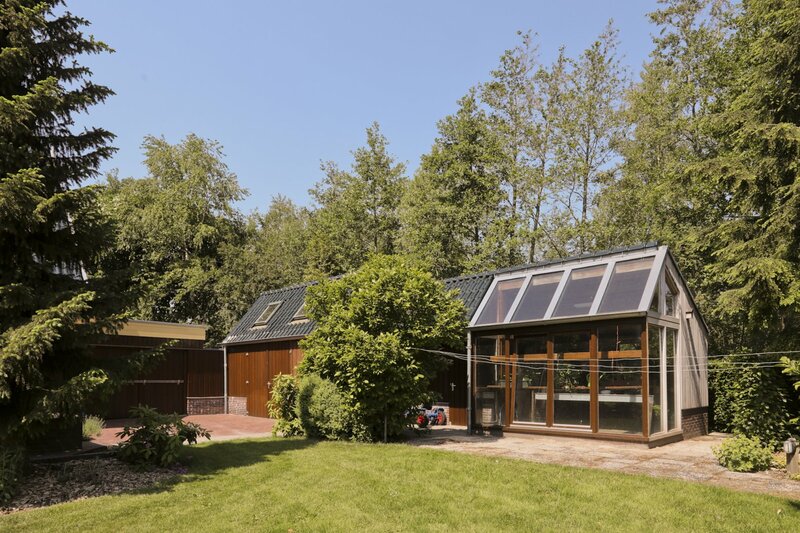 Spread over the site you will find a sturdy greenhouse with storage and a carport. 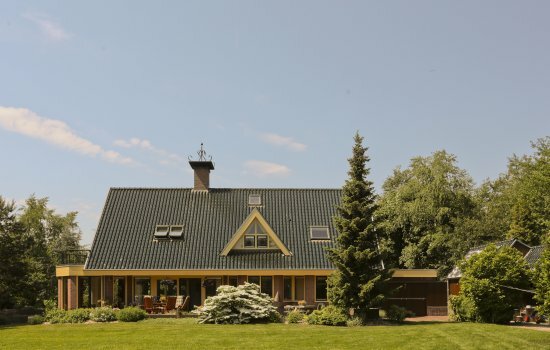 Collegial with Brokerage Aimée Staal.